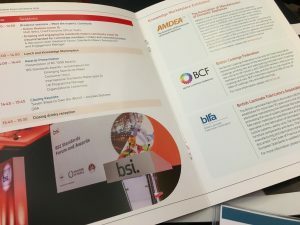 The BLFA were very pleased to be selected as one of the guest exhibitors at this year’s BSI Standards Forum and Awards event which was held on Thursday 29th October at the Park Plaza Hotel, London. 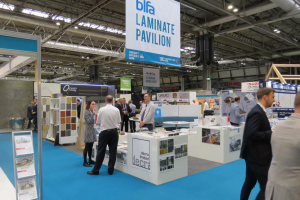 As part of the Knowledge Marketplace, we were able to meet industry professionals and Standards Makers who were interested to discuss how the BLFA can share in the development of quality standards relating to panel products. 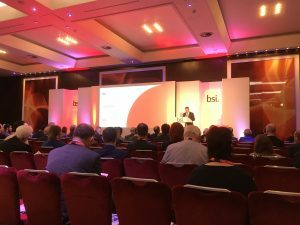 On 23 November, the General Assemblies of the European Standards Organizations CEN and CENELEC approved a plan that secures BSI’s full membership post-Brexit. 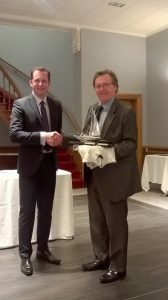 BSI welcomes the outcome as a pragmatic solution that provides stability for the European standards system while meeting the needs of their stakeholders. 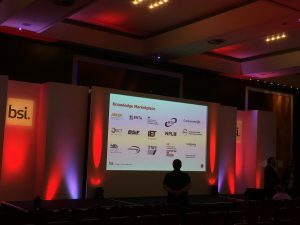 The BLFA will be increasing its involvement with BSI over the next few months. 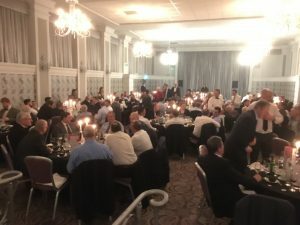 Our 2018 AGM and Annual Dinner was held at Heythrop Park in Oxfordshire. 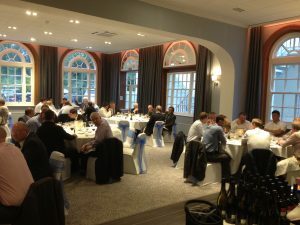 180 members and their guests joined us for a truly memorable evening which included some fantastic entertainment. 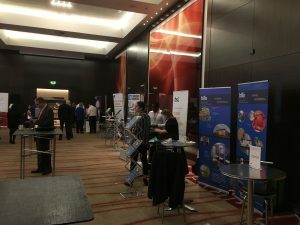 This event is always the highlight of the BLFA calendar and affords an excellent opportunity for guests to network with other industry professionals and meet new contacts who have recently joined the industry. 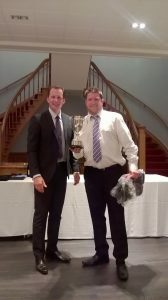 A welcome was given to two of our newest member companies: Cubicle Works and Cotswold Panel Products. 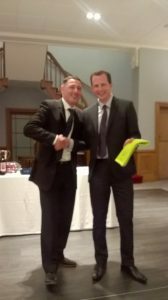 We would like to thank all our members for their support over the past year and we wish everyone a very successful start to 2019 ! 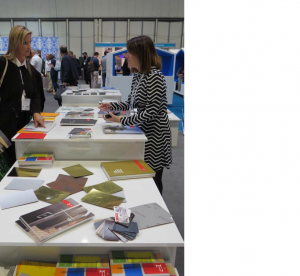 MEDITE PREMIER MDF has been used to create innovative 3D feature wall designs at the corporate headquarters of international media company, UBM, in Blackfriars, Central London. 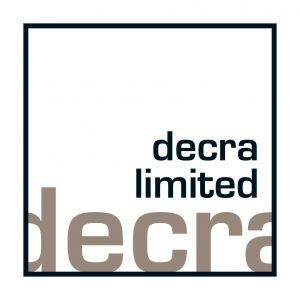 The landmark development made use of the timber panels in a bespoke interior wall design on each floor. 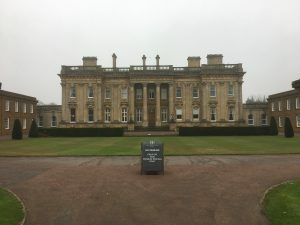 The AGM and Annual Dinner will be held this year at Heythrop Park, Oxfordshire. 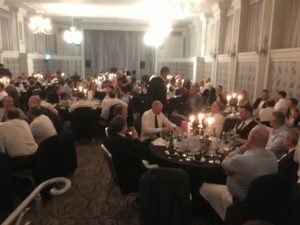 All BLFA members are invited to book dinner places and also to attend the AGM. 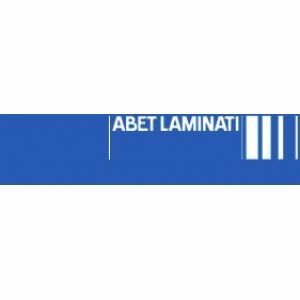 The Annual Dinner is an excellent opportunity to entertain your clients and network with other professional in the laminate industry and is a highlight for everyone who attends. 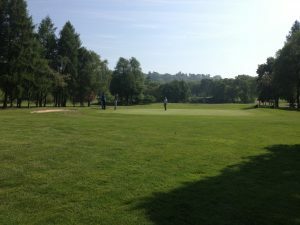 If you would like more information about booking your place please send your enquiry to us by email. 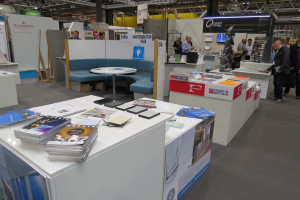 Last year, we were the headline sponsors for the Surface & Materials section of the show and we received 100’s of visitors across the 3 days. 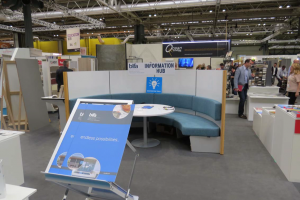 We have members returning as exhibitors with us on the Pavilion as well as new members exhibiting for the first time with us at this event. 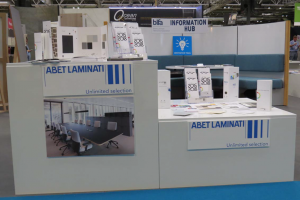 We look forward to welcoming all our visitors to another successful exhibition. 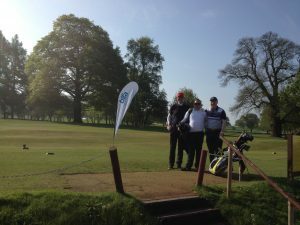 For more information about how to get involved with this event please email us. 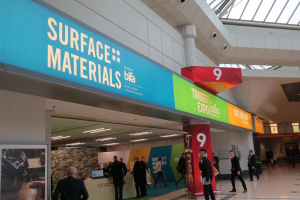 The BLFA Laminate Pavilion at the Surface & Materials Show was a resounding success and attracted many of the visitors who attended the event in their 1000’s. 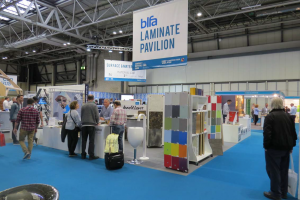 Visitors were able to see the very latest in laminate surface design and technology and the area created a real buzz in this part of the show. 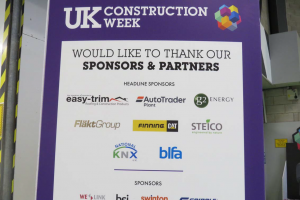 We were proud to be the headline sponsors for this show and we will be returning to next year’s event so look out for more info on this soon ! 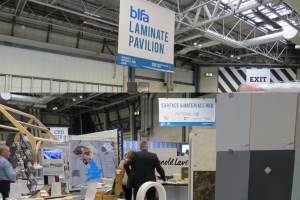 The BLFA is also proud to be the headline sponsor for the Surface & Materials event and we are looking forward to welcoming many of the thousands of visitors who regularly attend this exhibition. 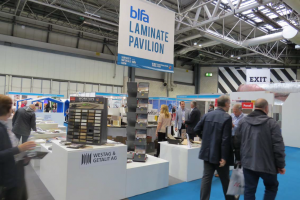 The BLFA Laminate Pavilion will be a unique area within the heart of the Surface & Materials show and the stand will feature a number of BLFA fabricator, manufacturer and distributor member companies who are showcasing some of their latest products and finishes. 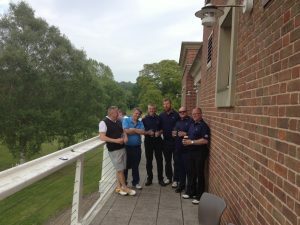 We would like to thank all of the above member companies for supporting this event. 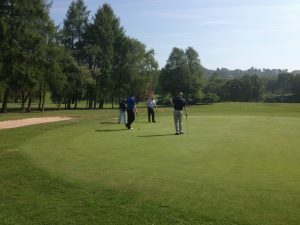 We are pleased to announce that the 2017 Annual AGM and Dinner will take place this year at the Marriott Hotel, Forest of Arden on Thursday 16th November. 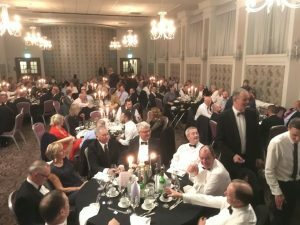 The annual dinner is the highlight of the BLFA calendar and in recent years we have seen record numbers attending. 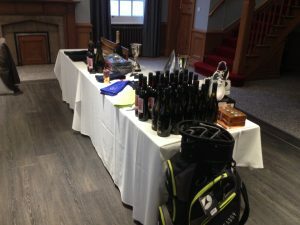 It is the perfect opportunity to invite your clients along and enjoy a superb evening of networking and entertainment. 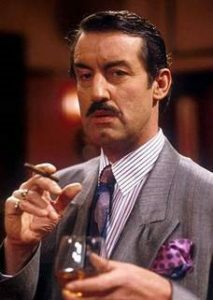 This year, we are looking forward to our special guest after dinner speaker,actor and author John Challis whose is best know for his role as ‘Boycie’ in the hit TV comedy Only Fools and Horses. 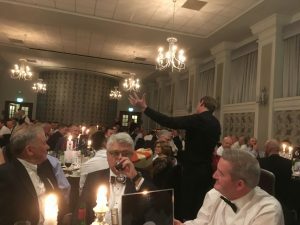 We are sure that everyone will thoroughly enjoy listening to him talk about his career and especially his time with the rest of the Only Fools and Horses cast. 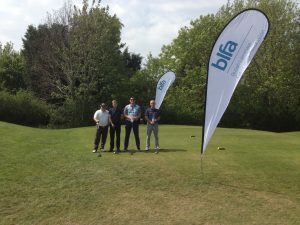 All BLFA Member companies are invited to book a table as soon as possible so please contact us for more information. 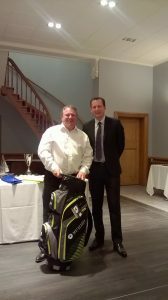 The 2017 annual BLFA Golf Day was held at Hawkstone Park, Weston-under-Redcastle, Shropshire on Thursday 11th May 2017. 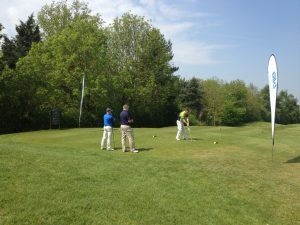 Excellent weather combined with 2 first class courses meant that everyone enjoyed a hugely successful event. 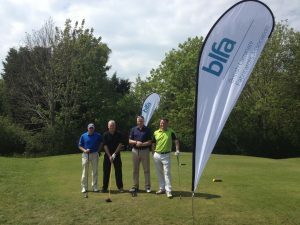 The BLFA is celebrating 50 Years since the association was incorporated in 1966, the same year as the England football team won the world cup at Wembley. 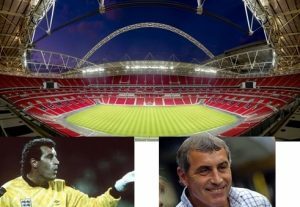 To go along with the 1966 theme, we are holding our annual dinner at Wembley Stadium on Thursday November 17th and our special guest speaker is legendary former England goalkeeper Peter Shilton. 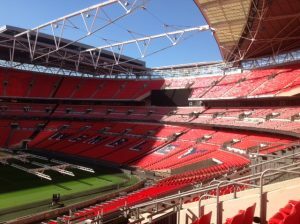 200 industry professionals are attending this landmark event which will include a private tour of the stadium and we are encouraging all members to join us for a memorable evening. 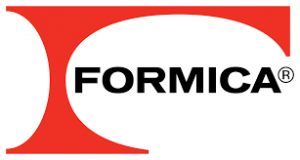 If you are a member and haven’t yet submitted your application form please send this ASAP to our email address. 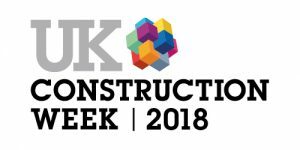 We look forward to seeing everyone there !